The beach resort of Khao Lak in Phang Nga province is around 80 km north of Phuket and represents how things use to be on Phuket some 20 years ago! The area is becoming increasingly popular, mainly with European visitors, and it’s clear to see why. It's easy to get to, quiet when you do and, as yet, not overdeveloped so very inviting for family holidays. 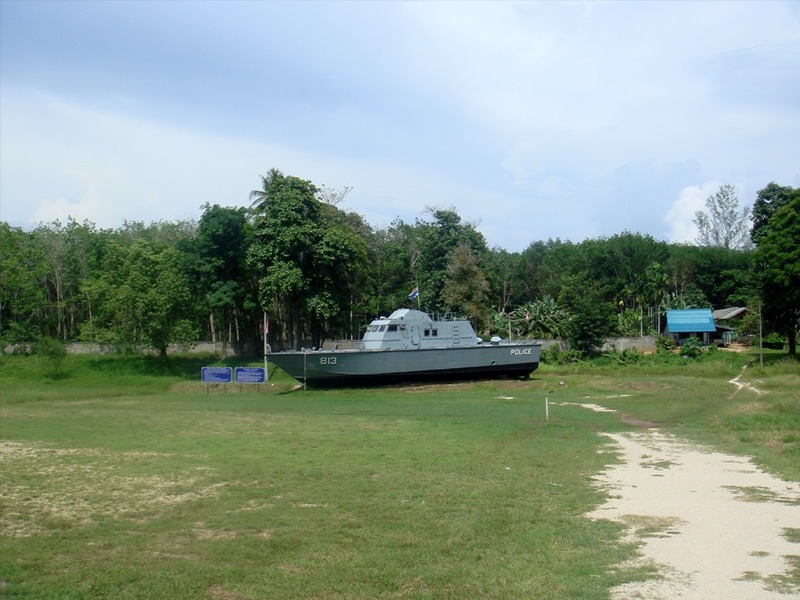 Parts of the Khao Lak area sit within the boundaries of the 125 sq km Khao Lak-Lam Ru National Park which, along with the inclusion of local marine resources, was re-categorised as a Marine National Park in 1995. 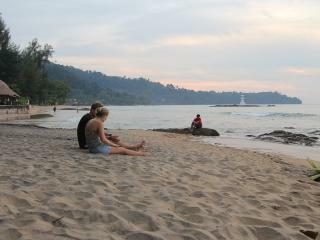 The designated coastal areas actually only represent a small part of the park itself as it stretches eastwards over and beyond the Khao Lak hillsides. Enjoyable hiking and forest walks traverse the undulating landscape amongst tropical evergreen forest, occasionally broken by visit-worthy waterfalls. 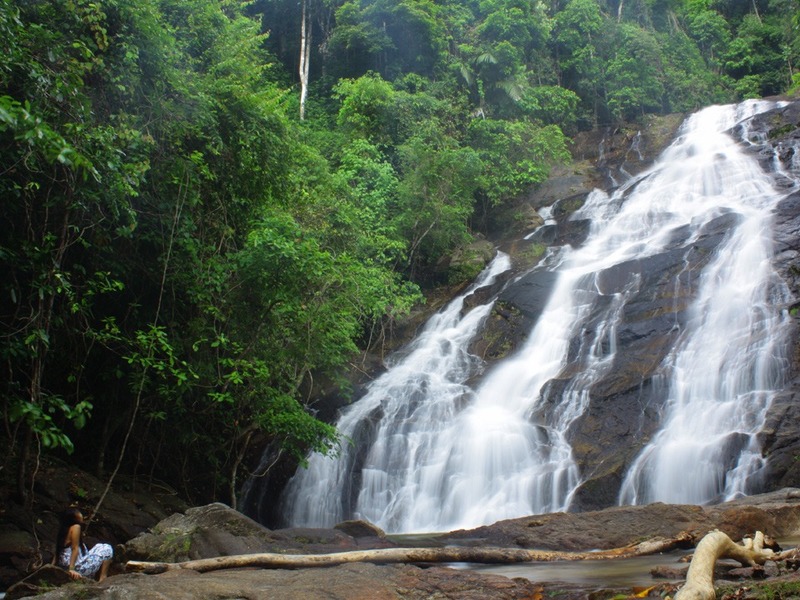 The easy to reach Chong Fah waterfall is a short distance from Bang Niang and can be reached by foot in under half an hour. The falls empty out into a pool - ideal for a quick cooling dip after the short trek! Camping in the park is permitted, but there are no areas with real facilitaties. There is however some basic accommodation, a couple of small restaurants and toilet facilities at the park headquarters. Khao Lak’s coastal areas suffered enormously when the 2004 tsunami hit; most of the landscape was either washed away or destroyed. Soon after, a number of replanting programmes were initiated and since the tragic event, a great deal has been accomplished in the rejuvenation of the surrounding foliage. The whole area has experienced an all-round recovery, including being once again, a popular tourist destination. 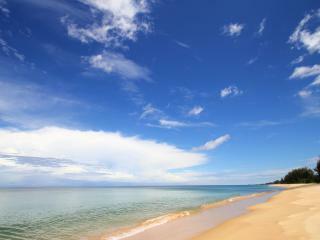 There are several beaches included within the Khao Lak district, each with their own independence. Firstly, the southernmost, is the casuarina-fringed Khao Lak Beach, where a modest selection of accommodation and eateries can be found, along with a selection of shops along the roads leading to and from the beach. Neighbouring Nang Thong Beach gently slopes to the water’s edge before it tapers off more abruptly. Small shells are often found in abundance here making it very popular with beach combers, while rocky areas in the shallows appease snorkelers. Heading north, the accommodation on the long sandy beaches at Bang Niang was once dominated by budget bungalow resorts, but things changed after the Tsunami – when a flurry of boutique resorts arrived on the scene along with restaurants and small shopping centres. Moving on, Khuk Khak Beach remains relatively undeveloped compared to its southern neighbours, although there has been a slow emergence of high end accommodation in recent years, including villas and upscale resorts serviced by a handful of restaurants and a selection of shops. Further north is Pak Weep followed by Bang Sak, two more favourites with beachcombers as you can find many colourful corals and shells in the sand. There are a number of well established resorts along both of these beaches but, as is the case with their beach and street restaurants, they taper off heading north. Away from the coast, inland, Bang La On, straddles an area along both sides of the main highway between Phuket and Ranong and, aside from being hazardous to cross, is often referred to as the ‘centre’ of Khao Lak. Here you will find the highest concentration of shops, bars, restaurants, banking facilities and an alarming number of tailors! 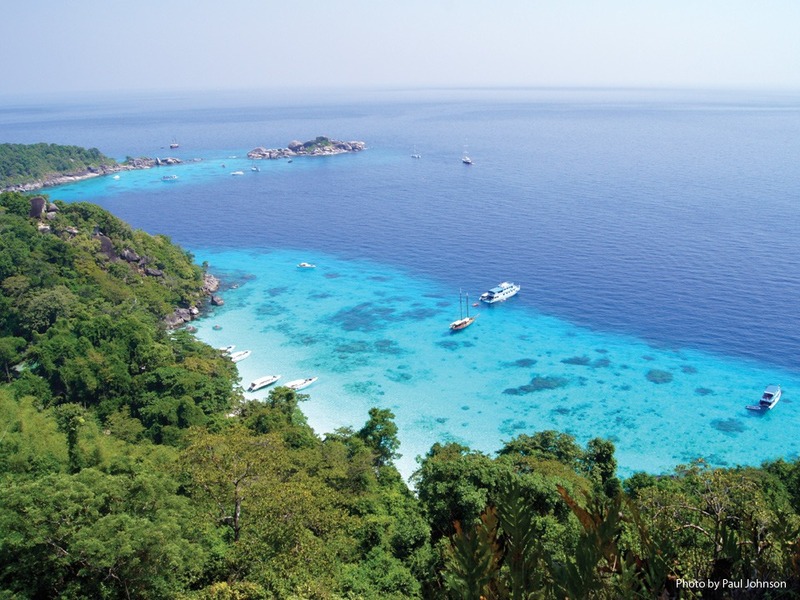 There’s also a selection of scuba diving centres offering daily and multi-day excursions to the world class diving destinations of the Similan Marine National Park and Surin Marine National Park, including the whale shark magnet of Richileu Rock. The majority of the dive centres offer internationally recognised certification courses and have diving and snorkeling equipment for sale. These tremendous offshore marine parks are also hugely popular sailing destinations and yacht charters, either crewed or bareboat, can be arranged on nearby Phuket. The recommended way to reach Khao Lak is to arrange a transfer from Phuket International Airport with your resort or dive operator prior to departure. Alternatively, it is possible to continue the remaining hour’s journey by minibus or taxi from the Phuket Airport or from one of Phuket’s beach resorts, which could take double the time. If you want to get there under your own steam from Phuket, the route follows a main road with sections of dual carriageway and can take from one to two hours, depending where you are on the island. Phuket International Airport has car rental kiosks. A valid International or Thai driving license and passport will be required, as will a deposit via credit card payment, which is refunded as long as the car is returned in the same condition it was rented in! 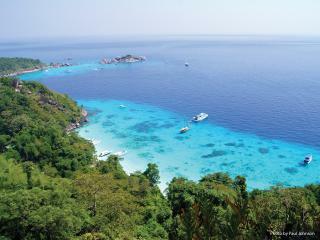 Click here to return to the Phuket regional overview page.